Sneezes are powerful — we can sneeze at 64km/h and at distances up to 9m. And there's nothing worse than wanting to sneeze but not being able to. Sometimes, you just have to stop a sneeze, but that can't be good for us, can it? Dr Dale Tylor, a Santa Barbara Otolaryngologist, told Digg what would happen if you held in all your sneezes. Turns out, holding in your sneezes isn't terrible for your health, but it isn't good either. At worst, you can rupture your eardrum or pop a blood vessel in your eye, but that's unlikely. If you stop a violent sneeze, the pressure from the sneeze could carry into your sinuses and skull. This can lead to small gaps in the bones between the nose and eyes or the nose and brain. But these gaps heal on their own, so they're nothing to worry about. 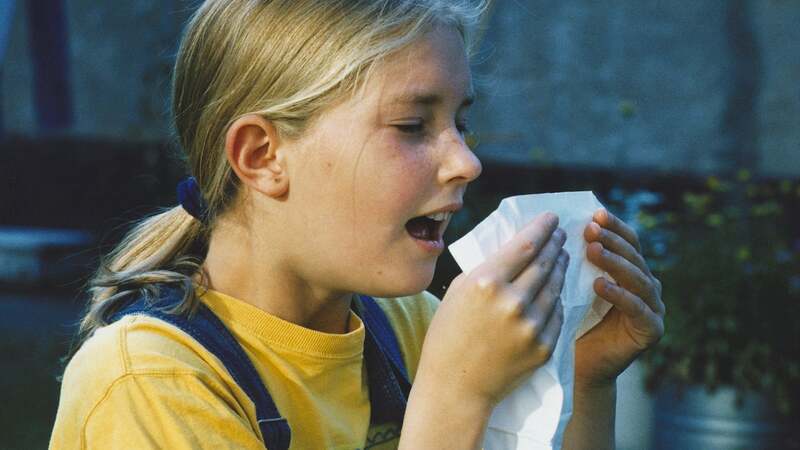 To play it safe and prevent unlikely injuries from sneezing, let out your sneeze. Or if you must hold it, let the pressure out through your mouth as a cough. ... or use the power of your pressure points. gently place a finger to the division between your nostrils and lightly press up. No sneeze. Using a finger to press on the space between your nose and lips will prevent you from sneezing without the ear rupturing, etc. Useful if you're at the movies or hiding from a serial killer. Philtrum. The name for that cleft above your upper lip and below your nose. Learned that from a Superman book.